The 95-degree weather we’re having belies the promise of Fall, but I know it’s coming. 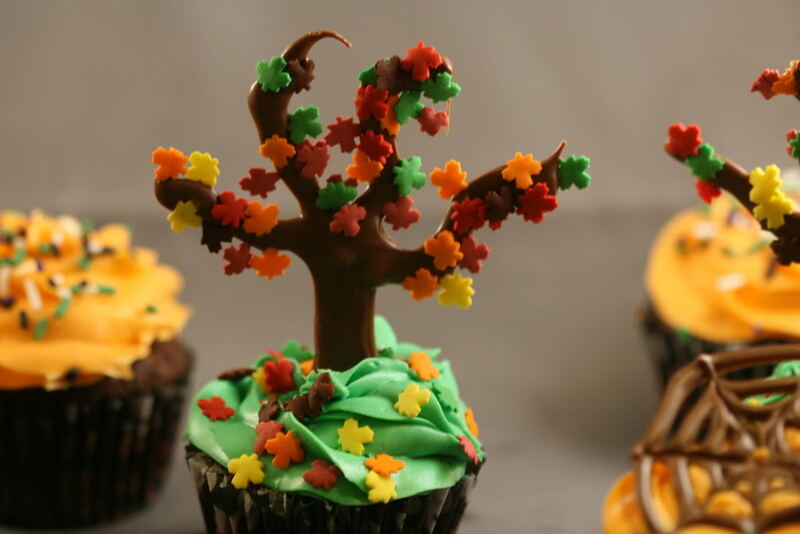 Check out this chocolate Fall tree tutorial at Crazy Delicious Food. Via Cupcakes Take the Cake. Via Party Cupcake Ideas. That’s a lot of vias. Thanks for the mention 🙂 I can’t wait for Autumn and baking pumpkin cupcakes.